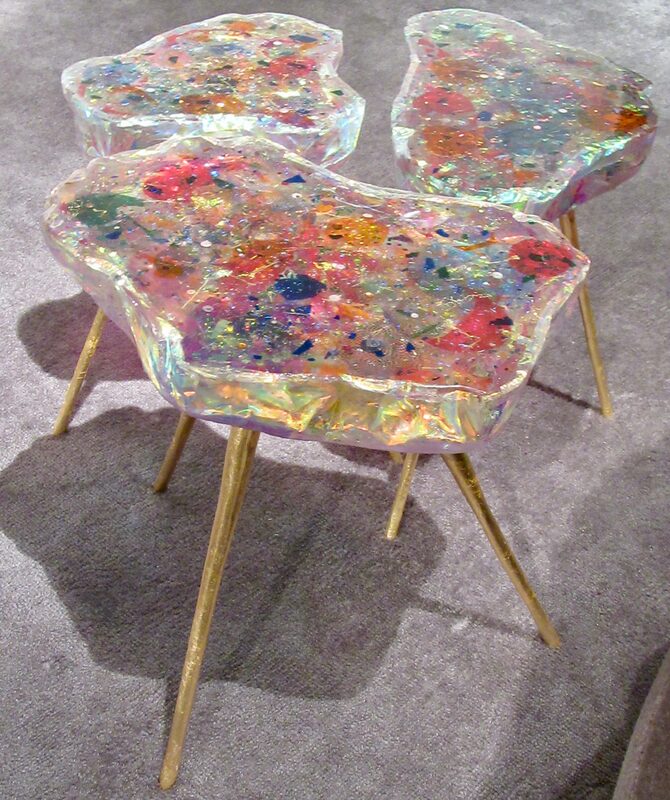 Hélène de Saint Lager is a French artist and sculptor, based in Paris, who is particularly known for her furniture made of resin. 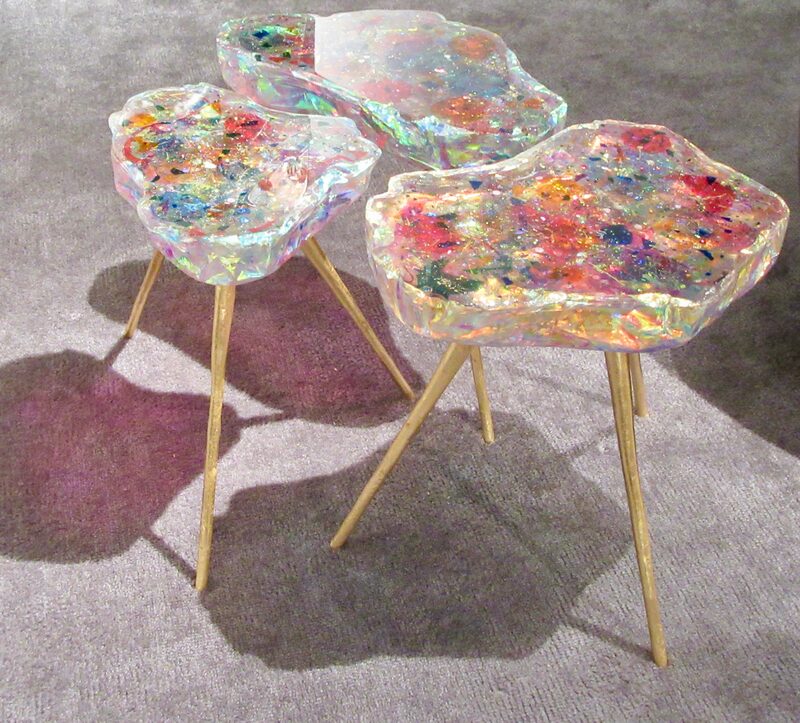 This trio of Petite Fleur Tables are a perfect exmaple of her works, of which no two are alike. A Saint Lager table is typically made over the course of a week, using a hollowed-out bed of sand. The artist forms that hollow to represent the mass of the table when it is filled. A canvas sheet then lines the void before Saint Leger pours a layer of resin a couple of inches deep onto it. 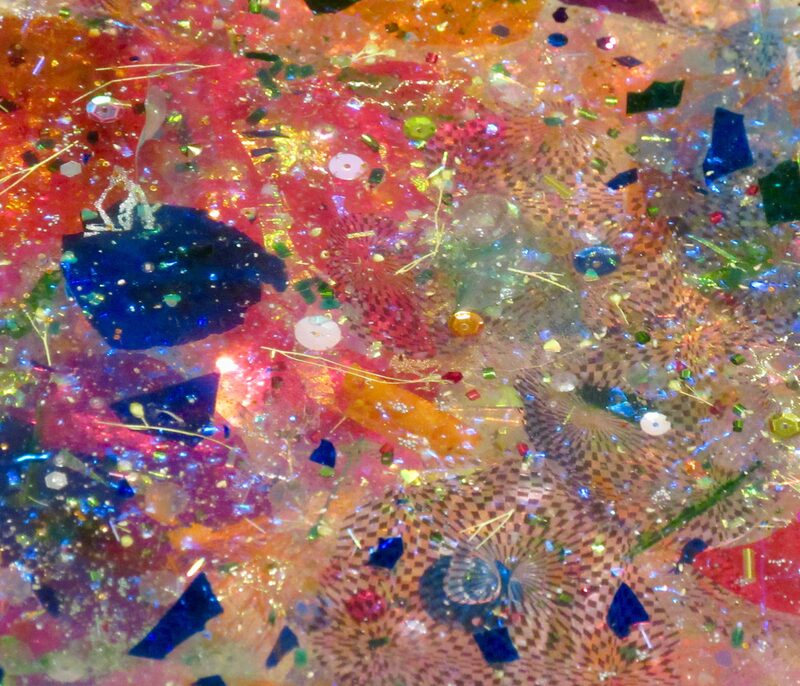 Her next task is to decide how industrial dyes lend effects of opacity or transparency, depth or brilliance. Metallic strips or iridescent drops or streaks might be added as the material is built up in each stage, with 24 hours needed for each layer to cure. Sometimes, mother of pearl or broken ceramics are added, and Saint Lager encourages personal effects to be entombed in her bespoke designs. Photographed at The Salon Art and Design. Available from Twenty First Gallery in NYC.